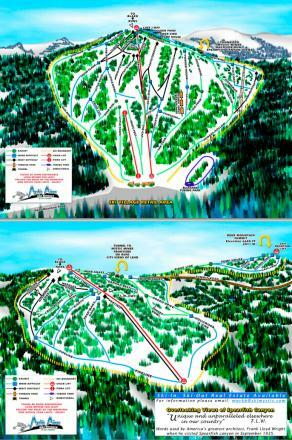 View the trails and lifts at Deer Mountain Ski Resort with our interactive trail map of the ski resort. 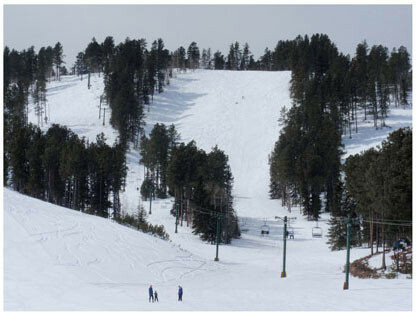 Plan out your day before heading to Deer Mountain Ski Resort or navigate the mountain while you're at the resort with the latest Deer Mountain Ski Resort trail maps. Select resorts also feature an additional trail map from partner, FatMap that provides a 3D view of the ski resort, including slope steepness and aspect, along with information on what it's like to ski each of the trails at Deer Mountain Ski Resort. Deer mountain. Quit your lying!!! If Terry Peak gets 5 and you get double and your only a few miles apart I think we all know that's BS. I love Deer, but the operation is kind of a sh**show. Completely wack that they aren't opening until the 17th when they've had the snow to be open for the past two weekends. An is there a derby bank slalom Sunday ? Has it snowed lately ? Go to the Friday night rail jams when they have them! Best part about it is that it's on a rope tow so you don't have to hike. I've gotten almost 200 laps between the 2 times I've went. It's so worth it and they build fun setups that help you learn new tricks!